As part of this inevitable outcome, one which presages the company’s eventual disintegration and likely liquidation, Bloomberg reported that the non-binding rescue loan with an unnamed counterparty will be secured by a portfolio of mortgage loans originated by Home Trust, the Toronto-based firm said in a statement Wednesday. Home Capital shares dropped by 61% in Toronto to the lowest since 2003, dragging down other home lenders. And now we know the source. As Bloomberg reports, the Healthcare of Ontario Pension Plan (HOOPP) is the lender behind Home Capital Group’s C$2 billion loan ($1.5 billion) to shore up liquidity, citing people familiar with the matter. The one-year credit line has a 10 percent interest rate on outstanding balances and a 2.5 percent rate on undrawn amounts, the Toronto-based lender said. The finalized agreement follows an announcement early Wednesday that Home Capital had reached a non-binding agreement in principle with an institutional investor for the loan. 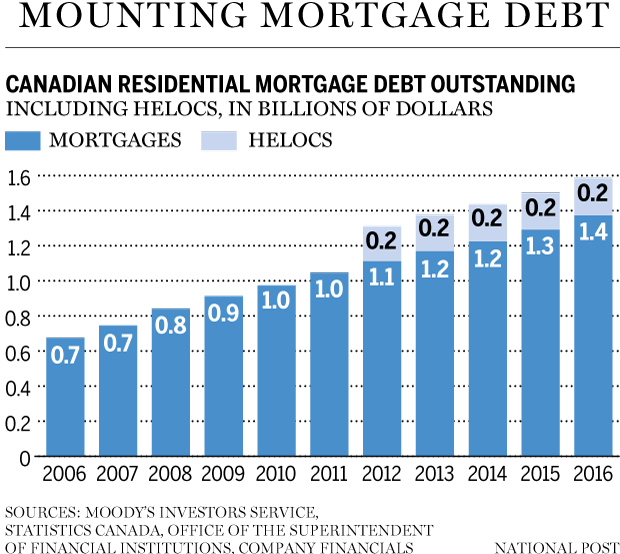 And in case you are one of the 321,000 retirees who are nervous about your pension managers’ actions, don’t worry: The loan is secured by a pool of mortgages originated by Home Trust, and as everyone knows, in Canada home prices never go down.